An innocent meeting at the mall leads to a torrid love affair and murder? Or does it? What happens when a traveling salesman accidentally meets an attractive woman at the mall? Joe Tarone’s latest novel takes many unexpected twists. Missy preceded Mark down the stairs. At one point she stopped and turned to look at her son. She did not like what she saw. Mark looked diminished–shrunken–not at all like the vibrant 17 year-old that she knew. Only once before had she seen her son look like this. That was years ago, when a pitch that he threw was knocked beyond the outfield fence and won the local Little League Championship for the opponents. It took a week or more for Mark to recover from that. This, she worried, might take longer. Rick had been deeply hurt by the accusation of his son. He now waited for his family to join him in the kitchen. Sitting at the kitchen table, his elbows planted firmly on its surface, his bowed head resting in his cupped hands. When he heard the approach of Missy and Mark, he dropped his hands. An expectant look came over his doleful face. After having just considered the pitiful appearance of Mark, Missy was now doubly disturbed by the apprehensive look on Rick’s face. There was a hollow, almost helpless, ache in her chest. It was a foreboding feeling. She had to shake it, she knew that. She had to get her family to where it was only three days ago. It would take more than an apology from Mark, she feared. Something was happening that she didn’t understand. Joe graduated from Penn State with a degree in Finance. He lived in Philadelphia and eventually moved to Chester County to work for a small scientific instrument manufacturer which, shortly after his employment there, was acquired by Hewlett Packard. After several years in finance with HP, Joe made a major career change and became a Personnel Administrator. 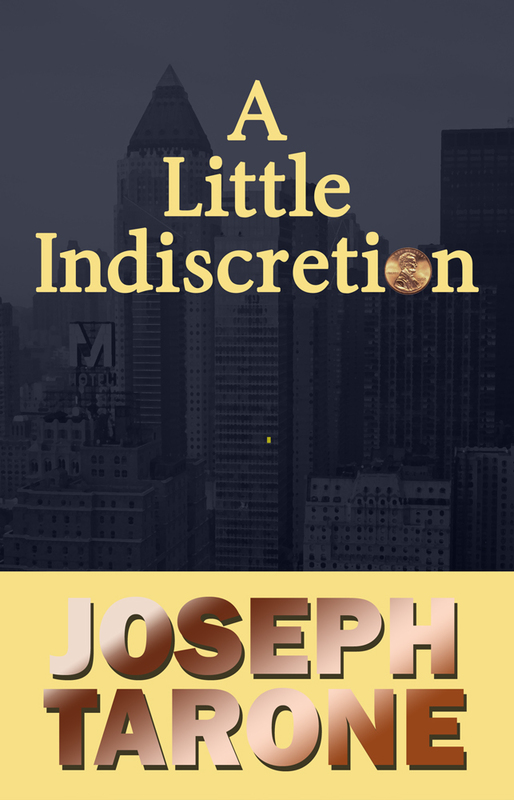 This entry was posted in book releases and tagged a little indiscretion, joe tarone, murder mystery, sunbury press. Bookmark the permalink.